Battery Fence energiser recommended for use with Poultry, Ducks, Cattle, Horses, Pigs, Sheep, Goats and Rabbits. 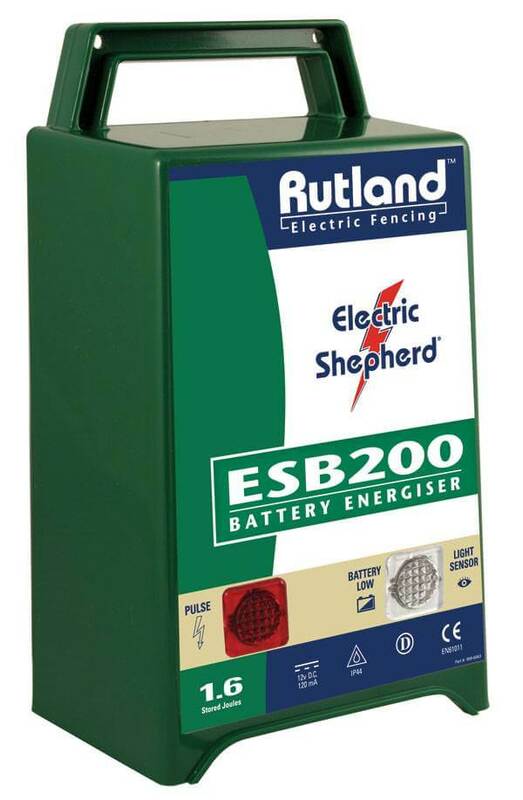 The ESB57 1.6 stored joules Battery energiser is a wet battery powered energiser ideal for strip grazing using electric nets or reel systems for sheep. The energiser has a Fast / Slow Economy switch that will put the energiser into an economy mode in hours of darkness extending the period between re-charges by conserving battery life. A Pulse indicator light and low battery indicator light are also present on the energiser. It is recommend that a 12v 80Ah leisure battery is used with the energiser.